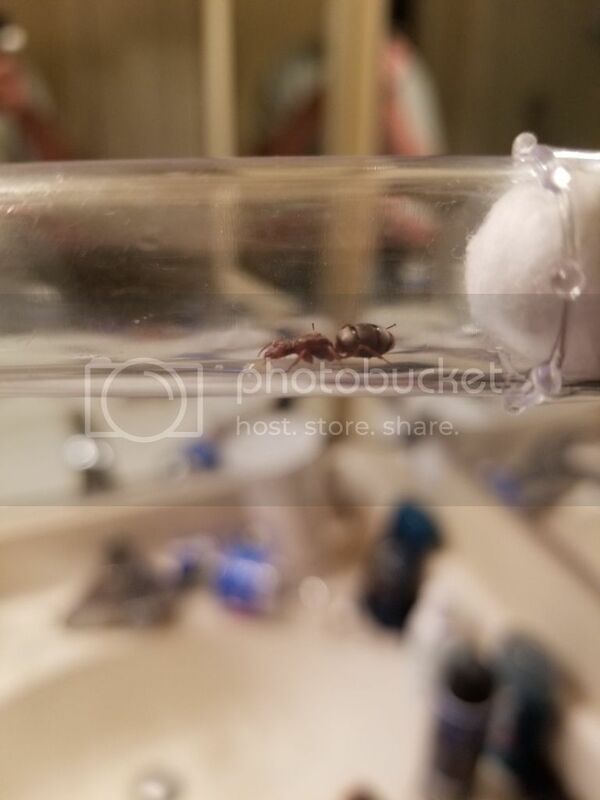 I've observed these ants a lot as a kid, I think they're fun. Workers dart around with brief pauses before racing off somewhere else. Had to use a small drop of honey to get her to sit still for a good clear photo. 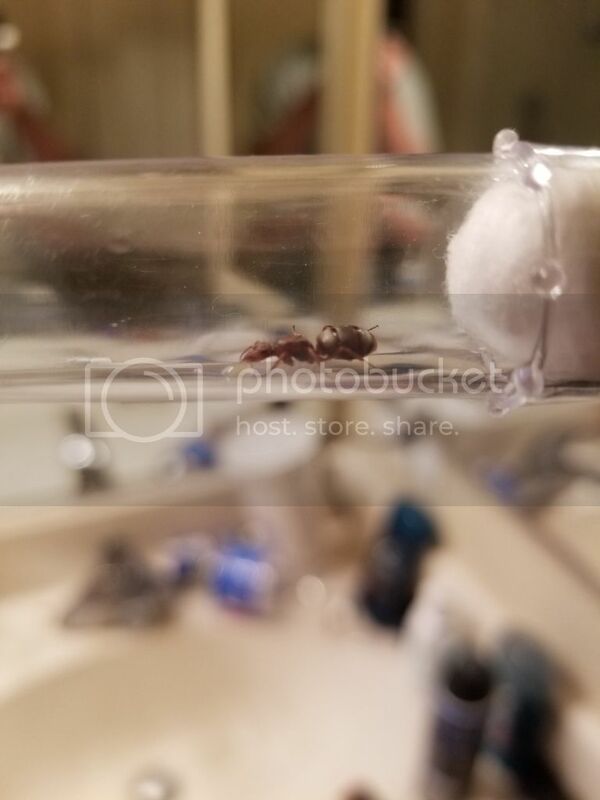 I think it is a lasius sp. 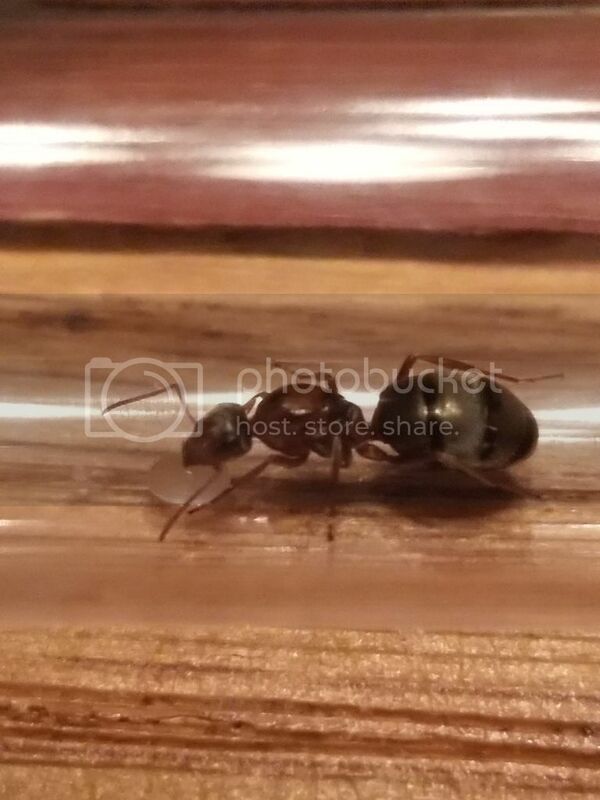 Formica sp., most likely Formica aerata (claustral). I have an update, she has five workers with another 6 or six about to emerge plus one massive brood.